Witherspoon was born on March 22, 1976 at Southern Baptist Hospital, in New Orleans, Louisiana, while her father, Dr. John Draper Witherspoon, was a student at Tulane University medical school. Dr. Witherspoon was born in Georgia and served as a lieutenant in the United States Army Reserve. He was in private practice as an otolaryngologist until 2012. Her mother, Dr. Mary Elizabeth "Betty" (née Reese), is from Harriman, Tennessee. Dr. Betty Witherspoon earned five degrees in total, including a Ph.D in pediatric nursing. She became a professor of nursing at Vanderbilt University. Witherspoon has claimed descent from Scottish-born John Witherspoon, who signed the United States Declaration of Independence; however, this claim has not been verified by the Society of the Descendants of the Signers of the Declaration of Independence genealogists. Her parents are still legally married, although they separated in 1996. Witherspoon was raised as an Episcopalian, and has said she is proud of the "definitive Southern upbringing" which she received. She said that it gave her "a sense of family and tradition" and taught her about "being conscientious about people's feelings, being polite, being responsible and never taking for granted what you have in your life". At the age of seven, Witherspoon was selected as a model for a florist's television advertisements, which motivated her to take acting lessons. At age eleven, she took first place in the Ten-State Talent Fair. Witherspoon received high grades in school, loved reading, and considered herself "a big dork who read loads of books". On mentioning her love for books, she said, "I get crazy in a bookstore. It makes my heart beat hard because I want to buy everything." She has been described as a "multi-achiever" and was given the nickname "Little Type A" by her parents. Witherspoon attended middle school at Harding Academy and graduated from the all-girls' Harpeth Hall School in Nashville, during which time she was a cheerleader. She later attended Stanford University as an English literature major, but left the school prior to completing her studies to pursue an acting career. In 1991, Witherspoon attended an open casting call for The Man in the Moon, intending to audition as a bit player; she was instead cast for the lead role of Dani Trant, a 14-year-old country girl who falls in love for the first time with her 17-year-old neighbor. According to The Guardian, her performance made an early impression. On her performance, Roger Ebert commented, "Her first kiss is one of the most perfect little scenes I've ever seen in a movie." For this role, Witherspoon was nominated for the Young Artist Award Best Young Actress. Later that year, she made her television debut role in Wildflower with Patricia Arquette. In 1992, Witherspoon appeared in the TV movie Desperate Choices: To Save My Child, portraying a critically ill young girl. In 1993, she played a young wife in the CBS miniseries Return to Lonesome Dove, Nonnie Parker in the Disney film A Far Off Place and had a minor role in Jack the Bear, which garnered her the Young Artist Award for Best Youth Actress Co-star. The next year, Witherspoon had another leading role as Wendy Pfister in the 1994 film S.F.W., directed by Jefery Levy. In 1996, Witherspoon starred in two major films: the thriller Fear alongside Mark Wahlberg, as Nicole Walker, a teenage girl who starts dating a man with obsessive tendencies, and the black-comedy thriller Freeway, alongside Kiefer Sutherland and Brooke Shields, where she held the lead role. Her character in Freeway, Vanessa Lutz, is a poor girl living in Los Angeles, who encounters a serial killer on the way to her grandmother's home in Stockton. The film received positive reviews from the press. Among them was the San Francisco Chronicle, with Mick LaSalle commenting, "Witherspoon, who does a Texas accent, is dazzling, utterly believable in one extreme situation after the other." Witherspoon's performance won her the Best Actress Award at the Cognac Police Film Festival and helped establish her as a rising star. The making of the film also gave Witherspoon significant acting experience; as she said, "Once I overcame the hurdle of that movie – which scared me to death – I felt like I could try anything." In 1998, Witherspoon had major roles in three movies: Overnight Delivery, Pleasantville and Twilight. In Pleasantville, she starred with Tobey Maguire in a tale about 1990s teenage siblings who are magically transported into the setting of a 1950s television series. She portrayed Jennifer, the sister of Maguire's character who is mainly concerned about appearances, relationships and popularity. Her performance received good reviews and garnered her the Young Hollywood Award for Best Female Breakthrough Performance. Director Gary Ross applauded her efforts saying, "she commits to a character so completely and she understands comedy". In 1999, Witherspoon starred alongside Alessandro Nivola in the drama thriller Best Laid Plans; she played Lissa, a woman who schemes with her lover Nick to escape a small dead-end town. Also that year co-starred with Sarah Michelle Gellar and Ryan Phillippe in the drama film Cruel Intentions, a modern take on the 18th-century French novel Les Liaisons Dangereuses. The San Francisco Chronicle praised her performance as Annette Hargrove: "Witherspoon is especially good in the least flashy role, and even when called upon to make a series of cute devilish faces, she pulls it off." She also appeared in a music video by Marcy Playground for the film's soundtrack. The film became a box office success and a cult classic. 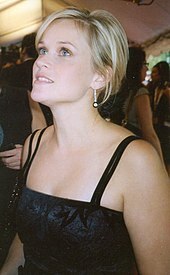 Next came perhaps Witherspoon's career-defining role: starring with Matthew Broderick in Election, based on Tom Perrotta's novel; for her portrayal of Tracy Flick, she received vast critical acclaim and won the Best Actress Award from the National Society of Film Critics and the Online Film Critics Society, a first Golden Globe nomination and an Independent Spirit Award nomination. Witherspoon also received a rank on the list of 100 Greatest Film Performances of All Time by Premiere. Director Alexander Payne said of her, "She's got that quality that men find attractive, while women would like to be her friend. But that's just the foundation. Nobody else is as funny or brings such charm to things. She can do anything." In spite of her success with Election, Witherspoon noted in an interview that she struggled to find work after completing the film due to typecasting. Analyzing the reasons behind her difficulty to find work, Witherspoon commented, "I think because the character I played was so extreme and sort of shrewish—people thought that was who I was, rather than me going in and creating a part. I would audition for things and I'd always be the second choice—studios never wanted to hire me and I wasn't losing the parts to big box office actresses but to ones who I guess people felt differently about." In 2000, Witherspoon played a supporting role in American Psycho as Patrick Bateman's trophy girlfriend, and made a cameo appearance in Little Nicky as the mother of the Antichrist. She also guest starred in season six of Friends as Rachel Green's sister Jill. The 2001 film Legally Blonde marked a turning point in Witherspoon's career; she starred as Elle Woods, a fashion-merchandising major who decides to become a law student in order to follow her ex-boyfriend to Harvard Law School. Witherspoon said about the role, "When I read Legally Blonde, I was like, 'She's from Beverly Hills, she's rich, she's in a sorority. She has a great boyfriend. Oh yeah, she gets dumped. Who cares? I still hate her.' So we had to make sure she was the kind of person you just can't hate." Legally Blonde was a box-office hit, grossing US$96 million domestically. Witherspoon's performance earned her praise from critics as the press began referring to her as "the new Meg Ryan". Roger Ebert commented, "Witherspoon effortlessly animated this material with sunshine and quick wit", and Salon.com noted that "she [Witherspoon] delineates Elle's character beautifully". Meanwhile, the Seattle Post-Intelligencer concluded, "Witherspoon is a talented comedian who can perk up a scene just by marching in full of pep and drive and she powers this modest little comedy almost single-handedly." For her work, Witherspoon garnered her second Golden Globe Best Actress nomination and an MTV Movie Award for Best Comedic Performance. 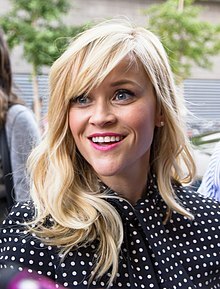 In 2002, after the success of Legally Blonde, Witherspoon starred in several roles, such as Greta Wolfcastle in The Simpsons episode "The Bart Wants What It Wants", and as Cecily in the comedy The Importance of Being Earnest, a film adaptation of Oscar Wilde's play in which she received a Teen Choice Award nomination. Later that year, she starred with Josh Lucas and Patrick Dempsey in Andy Tennant's film Sweet Home Alabama, where she played Melanie Carmichael, a young fashion designer who intends to marry a New York politician but must return to Alabama to divorce her childhood sweetheart, from whom she has been separated for seven years. Witherspoon regarded this as a "personal role" in that it reminded her of experiences she had when she moved from her hometown Nashville to Los Angeles. The movie became Witherspoon's biggest live-action box office hit, earning over $35 million in the opening weekend and grossing over $127 million in the U.S. Despite the commercial success, critics gave Sweet Home Alabama negative reviews. It was called "a romantic comedy so rote, dull and predictable" by The Miami Herald, and the press widely agreed that Witherspoon was the only reason the movie attracted such a large audience. When describing Witherspoon's role in the movie, The Christian Science Monitor concluded, "She is not the movie's main attraction, she is its only attraction." In 2003, Witherspoon followed up the success of Legally Blonde by starring in the sequel Legally Blonde 2: Red, White & Blonde. Elle Woods has become a Harvard-educated lawyer who is determined to protect animals from cosmetics industry science tests. The sequel was not as financially successful as the first film and it generated mostly negative reviews. USA Today considered the movie "plodding, unfunny and almost cringe-worthy", but also noted that "Reese Witherspoon still does a fine job portraying the fair-haired lovable brainiac, but her top-notch comic timing is wasted on the humorless dialogue." Meanwhile, Salon.com concluded that the sequel "calcifies everything that was enjoyable about the first movie". Despite being panned by critics, the sequel took in over $39 million in its first five days in the U.S. box office charts and eventually grossed $90 million in the US. Witherspoon received a $15 million paycheck for the role—a starting point to make her consistently one of Hollywood's highest-paid actresses from 2002 until 2010. In 2004, Witherspoon starred in Vanity Fair, adapted from the 19th-century classic novel Vanity Fair and directed by Mira Nair. Her character, Becky Sharp, is a poor woman with a ruthless determination to find fortune and establish herself a position in society. Witherspoon was carefully costumed to conceal that during the filming she was pregnant with her second child. This pregnancy was not a hindrance to her work as Witherspoon believed the gestation had in fact helped her portrayal of Sharp's character: "I love the luminosity that pregnancy brings, I love the fleshiness, I love the ample bosom—it gave me much more to play with", she said. The film and Witherspoon's portrayal of Sharp received mixed reviews, as The Hollywood Reporter wrote, "Nair's cast is splendid. Witherspoon does justice to the juicy role by giving the part more buoyancy than naughtiness." At the same time, The Charlotte Observer called her work "an excellent performance that's soft around the edges" and the Los Angeles Times concluded that Becky is "a role Reese Witherspoon was born to play". However, LA Weekly wrote "[Witherspoon] ends up conveying so little of what's at once appalling and perversely attractive about the would-be mistress of Vanity Fair" and states that it may have to do with Witherspoon's vanity, "with an Oscar-less young star's need to be loved more than anyone could conceivably love the "real" Becky Sharp.". Others have stated she was miscast. In late 2004, Witherspoon began working alongside Mark Ruffalo on the romantic comedy Just Like Heaven. Her character, Elizabeth Masterson, is an ambitious young doctor who gets into a car accident on her way to a blind date and is left in a coma; her spirit returns to her old apartment where she later finds true love. Earlier that year Witherspoon was chosen to portray June Carter Cash, the second wife of country music singer-songwriter Johnny Cash (Joaquin Phoenix), in Walk the Line. She never had the chance to meet Carter Cash, as Witherspoon was filming Vanity Fair at the time the singer died. Witherspoon performed her own vocals in the film and her songs had to be performed in front of a live audience, she was so worried about needing to perform live that she asked her lawyer to terminate the film contract. "That was the most challenging part of the role," she later recalled in an interview. "I'd never sung professionally." Subsequently, she had to spend six months learning how to sing for the role. Witherspoon's portrayal of Carter Cash was well received by critics, and Roger Ebert wrote that her performance added "boundless energy" to the movie. She won several awards for her performance, including the Golden Globe Award, the Screen Actors Guild, the BAFTA and the Academy Award for Best Actress in a Lead Role. Besides critical success in the movie industry, Witherspoon and Phoenix received a nomination for "collaborative video of the year" from the CMT Music Awards. Witherspoon expressed her passion for the movie: "I really like in this film that it is realistic and portrays sort of a real marriage, a real relationship where there are forbidden thoughts and fallibility. And it is about compassion in the long haul, not just the short easy solutions to problems." She also stated that she believed Carter Cash was a woman ahead of her time: "I think the really remarkable thing about her character is that she did all of these things that we sort of see as normal things in the 1950s when it wasn't really acceptable for a woman to be married and divorced twice and have two different children by two different husbands and travel around in a car full of very famous musicians all by herself. She didn't try to comply to social convention, so I think that makes her a very modern woman." Witherspoon's first post-Oscar role came in the modern-day fairy tale Penelope, as Annie, the best friend of Penelope (Christina Ricci), a girl who has a curse in her family. The film was produced by her company Type A Films, with filming commencing in March 2006, immediately following Witherspoon's Oscar win for Walk the Line. Although the movie premiered at the 2006 Toronto International Film Festival, the final release date of Penelope was delayed twice before an eventual February 2008 release. This period of Witherspoon's career began with the filming of the abduction thriller Rendition in November 2006. In the film, she plays Isabella El-Ibrahim, the pregnant wife of a bombing suspect. The film was released in October 2007 and marked Witherspoon's first appearance in theaters since the 2005 release of Walk the Line. The movie received mostly mixed reviews and was generally considered a disappointment at the Toronto International Film Festival. Witherspoon's performance was also criticized: "Reese Witherspoon is surprisingly lifeless", Claudia Puig of USA Today wrote. "She customarily injects energy and spirit into her parts, but here, her performance feels tamped down." Witherspoon was also the announcer of the Playhouse Disney block on Disney Channel, from March 31, 2007 to February 14, 2011. In December 2007, Witherspoon began working with Vince Vaughn, filming the holiday comedy Four Christmases, a story about a couple who must spend their Christmas Day trying to visit all four of their divorced parents. The film was released in November 2008. Despite being panned by critics, the movie became a box office success, earning more than $120 million domestically and $157 million worldwide. In 2009, Witherspoon voiced Susan Murphy, lead character in DreamWorks' computer-animated film Monsters vs. Aliens, released in March 2009, becoming her biggest hit at the time. She also co-produced the Legally Blonde spin-off Legally Blondes, starring Milly and Becky Rosso. However, Witherspoon did not appear in a live-action film for two years after the 2008 release of Four Christmases. She told Entertainment Weekly that the "break" was unplanned, stating that, "I just didn't read anything I liked... There are a lot of really, really, really big movies about robots and things—and there's not a part for a 34-year-old woman in a robot movie." Witherspoon returned with three films released in 2010, 2011 and 2012, all centered on her as a woman caught in a love triangle between two men. In a 2012 interview with MTV, Witherspoon jokingly referred to this trio of films as her "love triangle period". The first film was James L. Brooks' romantic comedy How Do You Know which starred Witherspoon as a former national softball player who struggles to choose between a baseball-star boyfriend (Owen Wilson) and a business executive being investigated for white-collar crime (Paul Rudd). The movie was filmed in Philadelphia and Washington, D.C. during the summer and fall of 2009 and released on December 17, 2010. The movie was both a critical and box office failure. Despite a budget of more than $100 million the film earned only $7.6 million in its opening weekend, leading the Los Angeles Times to call it "one of the year's biggest flops". The movie earned mainly negative reviews from critics, scoring 35% on Rotten Tomatoes with 111 reviews as of late December 2010. Witherspoon's second love-triangle movie was the film adaptation of the 1930s circus drama Water for Elephants. She began circus training in March 2010 for her role as Marlena, a glamorous performer stuck in a marriage to a volatile husband (Christoph Waltz) but intrigued by the circus's new veterinarian (Robert Pattinson). The movie was filmed between late May and early August 2010 in various locations in Tennessee, Georgia, and California. It was released on April 22, 2011 and received mixed critical reviews. In September 2010, Witherspoon began principal photography in Vancouver for the third and final love-triangle film, This Means War, a 20th Century Fox spy comedy directed by McG in which Witherspoon's character is at the center of a battle between best friends (played by Chris Pine and Tom Hardy) who are both in love with her. The film had a "sneak-peek" release on Valentine's Day, before fully opening on February 17, 2012. The film was panned by critics (with a 25% Rotten Tomatoes rating), and fared poorly at the box office, taking fifth place on its opening weekend with sales of $17.6 million. The New York Times remarked that this "extended the box office cold streak for the Oscar-winning Ms. Witherspoon". Witherspoon's subsequent films signaled a departure from the love-triangle theme. In September 2011, a year after beginning work on This Means War, she filmed a small role in Jeff Nichols's coming-of-age drama Mud in Arkansas, playing Juniper, the former girlfriend of a fugitive (Matthew McConaughey), who enlists two local boys to help him evade capture and rekindle his romance with her. Mud premiered in May 2012 in competition for the Palme d'Or at the Cannes Film Festival, but did not win. Following its American debut at the Sundance Film Festival on January 19, 2013, the film had a limited release in select North American theaters on April 26, 2013. Witherspoon next starred in Devil's Knot, which is based on Atom Egoyan's true crime book of the same name and examines the controversial case of the West Memphis Three. Like Mud, the film is set in Arkansas. Witherspoon played Pam Hobbs, the mother of one of three young murder victims. In an interview subsequent to her casting in the film, Egoyan noted that although the role requires "an emotionally loaded journey", he "met with Reese, and... talked at length about the project, and she's eager to take on the challenge". The movie was shot in Georgia in June and July 2012. Witherspoon was pregnant with her third child during filming. The film's world premiere was held on September 8, 2013 at the Toronto International Film Festival. It was then released in selected American theaters on May 9, 2014. In April 2013, Witherspoon began production in Atlanta on Canadian director Philippe Falardeau's film The Good Lie. It is based on real-life events, about a brash American woman assigned to help four young Sudanese refugees (known as Lost Boys of Sudan) who win a lottery for relocation to the U.S. It was released on October 3, 2014. Witherspoon shot a small role in Inherent Vice (2014), an adaptation of Thomas Pynchon's novel, in Pasadena, California in summer 2013. In 2012, Witherspoon started the production company Pacific Standard. The goal of the company was to produce movies with strong female lead roles, as she said that she was tired of seeing only movies with a strictly male focus being produced. Through the company, Witherspoon served as a producer in the film adaptation of Gillian Flynn's novel Gone Girl, though she did not star. Indeed, Witherspoon and her producing partner "had little to do with the production of Gone Girl", leaving it to director David Fincher while focusing their efforts on another adaptation produced via Pacific Standard, that of Cheryl Strayed's memoir Wild, which began production in fall 2013 on the same day as Gone Girl. Witherspoon starred in the project, portraying Strayed herself on her 1,000-mile (1,600 km) hike along the Pacific Crest Trail. Wild was released in December 2014 to critical acclaim; Michael Phillips of Chicago Tribune wrote in his review, "Witherspoon does the least acting of her career, and it works. Calmly yet restlessly, she brings to life Strayed's longings, her states of grief and desire and her wary optimism." Wild was promoted as Witherspoon's primary "comeback" vehicle following her previous career slump, and she earned her second Academy Award nomination for the role. In May 2014, Witherspoon began production in Louisiana on Hot Pursuit, a comedy in which she plays a police officer trying to protect a drug lord's widow (Sofía Vergara). The movie was released on May 8, 2015. In 2016, she had a voice role in the animated film Sing, as well as serving as a major performer on the film's soundtrack. The movie became Witherspoon's biggest hit, being the first to make over $200 million domestically and $600 million worldwide. In January 2016, Witherspoon began filming her first television project since Return To Lonesome Dove, the seven-part miniseries adaptation of the Liane Moriarty bestseller, Big Little Lies. She produced the miniseries, along with her co-star, Nicole Kidman, and the show's director, Jean-Marc Vallée, her second project under his direction. The series premiered on February 19, 2017 on HBO and finished on April 2. Witherspoon has garnered critical acclaim for her performance, with TV Line proclaiming her as "Performer of the Week" of February 26 to March 4. The Washington Post compared her performance to her previous work in Election and Legally Blonde. In November 2016, Witherspoon began production on the romantic comedy Home Again, the directorial debut of filmmaker Nancy Meyers' daughter, Hallie Meyers-Shyer, which was released on September 8, 2017. A few months later, she began filming Disney's A Wrinkle in Time, the film adaptation of Madeleine L'Engle's classic novel of the same name, where she plays Mrs. Whatsit. The film was released in March 2018, co-stars Oprah Winfrey and Mindy Kaling, and is directed by Ava DuVernay. In December 2017, HBO renewed Big Little Lies for a second season making the series a regular drama series series instead of a miniseries. The second season adds Meryl Streep to the main cast and will premiere in June 2019. Witherspoon has also signed on to produce and star in the Apple TV+ comedy-drama series The Morning Show alongside Jennifer Aniston with Steve Carell co-starring. The Morning Show has received a two season order from Apple with the first season premiering in the fall of 2019. Furthermore, Witherspoon will act and produce in the Hulu miniseries Little Fires Everywhere, the televised adaption of Celeste Ng's 2017 novel of the same name alongside Kerry Washington. Witherspoon will also executive produce series Truth Be Told and an untitled comedy series from Colleen McGuinness, both set at Apple. Witherspoon will also serve as an executive producer for three additional series at ABC, Starz and Amazon Prime Video. All upcoming series will be produced through her production company Hello Sunshine. Witherspoon also has two films in pre-production as a producer, A White Lie and a documentary about Martina Navratilova. Witherspoon owned a production company called Type A Films, which the media believed was a moniker honoring her childhood nickname "Little Miss Type A". However, when asked about the company by Interview magazine, she clarified the name's origin: "... people think I named it after myself... It was actually an in-joke with my family because at [age] 7 I understood complicated medical terms, such as the difference between type A and type B personalities. But I just wished I'd named the company Dogfood Films or Fork or something. You carry that baggage all your life." In March 2012, Witherspoon merged Type A Films with producer Bruna Papandrea's Make Movies banner to create a new production company entitled Pacific Standard. In 2016, Witherspoon and Papandrea split up, with Witherspoon gaining full control over the company. In November 2016, Witherspoon and Otter Media formed Hello Sunshine, a joint venture focused on telling female-driven stories on film, TV and digital platforms. Pacific Standard has become a subsidiary of Hello Sunshine. In 2007 to 2011, Witherspoon was the announcer of Playhouse Disney and was featured in various promos, bumpers and commercials. In 2013, Witherspoon recorded a cover of the classic Frank Sinatra and Nancy Sinatra duet, "Somethin' Stupid" with Michael Bublé for his 2013 album, To Be Loved. In May 2015, Witherspoon launched Draper James, a retail brand with a focus on fashion, accessories and home décor inspired by the American South. The brand is named after Witherspoon's grandparents, Dorothea Draper and William James Witherspoon, who are said to be her greatest influences. Some of the products are being manufactured and designed in-house, and the brand launched direct to consumers online before opening its first brick and mortar store in fall 2015 in Witherspoon's hometown of Nashville, Tennessee. In October 2016, Witherspoon announced that she would be writing her first book. In April 2018, Witherspoon announced her first book Whiskey in a Teacup. The book is a lifestyle book inspired by Witherspoon's southern upbringing and was released on September 18, 2018. In March 2017, Witherspoon became the storyteller-in-chief for Elizabeth Arden, Inc.. There, she will be helping the company to shape the brand's narrative through advertising campaigns and marketing programs. Of her involvement, Witherspoon states that she is "excited to work as a creative partner alongside the Elizabeth Arden team, producing content that celebrates the spirit of the brand, highlighting female-centric stories that illustrate women's true life experiences which unite us all". Witherspoon is actively involved in children's and women's advocacy organizations. She is a longtime supporter of Save the Children, an organization that helps provide children around the world with education, health care and emergency aid. She also serves on the board of the Children's Defense Fund, a child advocacy and research group. In 2006, she was among a group of actresses who went to New Orleans, Louisiana in a CDF project to publicize the needs of Hurricane Katrina victims. During this trip, she helped open the city's first Freedom School, as she met and talked with the children. Witherspoon later called this an experience that she would never forget. Witherspoon has cited actresses Jodie Foster, Meryl Streep, Holly Hunter, Susan Sarandon, Frances McDormand, Debra Winger, Diane Ladd, Julia Roberts, Nicole Kidman, Jennifer Aniston, Goldie Hawn, Sally Field, Sigourney Weaver, Lucille Ball, Carole Lombard, Judy Holliday, Gena Rowlands, and actors Tom Hanks, Jack Nicholson, and Michael Keaton as influences on her acting. Her favorite films are Splendor in the Grass, Waiting for Guffman, Broadcast News, Raising Arizona, and Overboard. Witherspoon met actor Ryan Phillippe at her 21st birthday party in March 1997. They became engaged in December 1998 and married near Charleston, South Carolina, on June 5, 1999, at Old Wide Awake Plantation. They have two children together, a daughter, Ava Elizabeth Phillippe, born on September 9, 1999,  and a son born in October 2003. In October 2006, Witherspoon and Phillippe announced their separation. In early February 2010, it was reported that Witherspoon was dating Jim Toth, a talent agent and co-head of motion picture talent at Creative Artists Agency, where Witherspoon is a client. Witherspoon and Toth announced their engagement in December 2010, and married on March 26, 2011, in Ojai, California, at Libbey Ranch, Witherspoon's country estate, which she later sold. The couple have a son together, Tennessee who was born on September 26, 2012. Witherspoon hosted Saturday Night Live on September 29, 2001, the first episode to air after the September 11 attacks. In 2005, she was ranked No. 5 in Teen People magazine's list of most powerful young Hollywood actors. In 2006, Witherspoon was listed among the Time 100. Her featured article was written by Luke Wilson. In the same year, she was selected as one of the "100 Sexiest Women In The World" by the readers of FHM. Witherspoon has been featured four times in the annual "100 Most Beautiful" issues of People magazine. Witherspoon has appeared on the annual Celebrity 100 list by Forbes magazine in 2006 and 2007, at No. 75 and No. 80, respectively. Forbes also put her on the top ten Trustworthy Celebrities list. She was listed among CEOWorld Magazine's Top Accomplished Women Entertainers. In 2007, she was selected by People and the entertainment news program Access Hollywood as one of the year's best-dressed female stars. She was also the announcer of the Playhouse Disney block on Disney Channel from 2007 to 2011. The yellow dress she wore to that year's Golden Globe Awards was widely acclaimed. A study conducted by E-Poll Market Research showed that Witherspoon was the most likable female celebrity of 2007. That same year, Witherspoon established herself as the highest-paid actress in the American film industry, earning $15 to $20 million per film. In recent years, however, her appearance in a number of movies that fared badly at the box office caused a turnabout in her status, and she has been noted as one of the most overpaid actors in Hollywood in 2011, 2012 and 2013. In April 2011, Witherspoon ranked 3rd on the 22nd annual People's Most Beautiful issue. In 2010, Witherspoon received a star on the Hollywood Walk of Fame at 6262 Hollywood Blvd. In June 2013, Witherspoon filed suit against Marketing Advantages International Inc., claiming it used her name and image extensively in jewelry advertising without her permission, both throughout the United States and internationally. In December 2015, while Witherspoon's trademark claims to her name were rejected, for she had not established secondary meaning to her full name, that she did not claim "emotional distress" and the "photos and facts were generally known by the public and the photos were taken in public with Plaintiff's consent", the court ruled that she could proceed with her right of publicity claims against a number of defendants. Two months later, Witherspoon withdrew her lawsuit, having "come to private agreements with the various defendants, including Centerbrook Sales, Fragrance Hut, Gemvara, and others". In the wake of the Harvey Weinstein sexual abuse allegations, Witherspoon revealed that she had been sexually assaulted by a director at the age of 16 and has had "multiple experiences of harassment and sexual assault" throughout her career. In 2015, Witherspoon made her second appearance among the Time 100, with her featured article being written by Mindy Kaling. The same year, she was awarded, by a unanimous vote from the committee, the American Cinematheque for being "a perfect example of an actress flourishing in today's world" and "an active and successful movie producer who is moving her career forward both behind and in front of the camera". 2002 The Simpsons Greta Wolfcastle (voice) Episode: "The Bart Wants What It Wants"
Witherspoon has won numerous awards, including the BAFTA Award and the Oscar for Best Actress for her performance in Walk the Line in 2005. In 2015, she received another nomination in the category for her performance in Wild. ^ Martin, Aaron (March 1, 2006). "Green Threads on the Red Carpet". Tulane University magazine. Archived from the original on March 11, 2007. Retrieved April 30, 2007. ^ a b Hurst, Greg (March 5, 2006). "The dork who grew into a Hollywood princess". The Sunday Times. UK. Archived from the original on August 15, 2011. Retrieved November 26, 2007. ^ a b c d e f "Reese Witherspoon biography". Yahoo! Movies. Archived from the original on June 5, 2007. Retrieved October 25, 2007. ^ Mike Fleeman and Kay West (May 10, 2012). "Reese Witherspoon's Mom: My Husband Married Another Woman". people.com. Archived from the original on January 2, 2016. Retrieved January 20, 2016. ^ Communications and Marketing (June 4, 2012). "College of Nursing Honors 2012 Outstanding Alumni Award Recipients". uthsc.edu. Archived from the original on January 2, 2016. Retrieved January 20, 2016. ^ Wills, Dominic. "Reese Witherspoon biography (page 1)". Tiscali. Archived from the original on October 15, 2007. Retrieved November 26, 2007. ^ a b c Stuges, Fiona (August 7, 2004). "Reese Witherspoon: Legally Blonde. Physically flawed?". The Independent. UK. Archived from the original on July 7, 2009. Retrieved November 18, 2010. ^ "Reese Witherspoon: Legally Blonde... Again". Agirlsworld.com. Archived from the original on August 12, 2003. Retrieved October 25, 2007. ^ DSDI Staff (December 11, 2011). "John Witherspoon – The Descendants of the Signers of the Declaration of Independence". USA. Archived from the original on February 12, 2013. Retrieved February 9, 2013. ^ "Reese Witherspoon's parents in bigamy dispute". CNN. May 10, 2012. Archived from the original on January 23, 2015. Retrieved January 23, 2015. ^ a b c d e f "Talent behind Witherspoon's win". BBC News. January 17, 2006. Archived from the original on September 5, 2007. Retrieved October 25, 2007. ^ a b c d Puig, Claudia (September 18, 2002). "Witherspoon's 'Sweet Home'". USA Today. Retrieved November 4, 2007. ^ "Reese Witherspoon Opens Up About Religion and the Afterlife: 'I Think You Get an Angel and Wings and a Halo'". Entertainment Tonight. Retrieved November 7, 2017. ^ a b c d e Wills, Dominic. "Reese Witherspoon biography (page 2)". Tiscali. Archived from the original on October 15, 2007. Retrieved November 26, 2007. ^ a b Grant, Meg (September 30, 2005). "Face to Face With Reese Witherspoon". Reader's Digest. Archived from the original on May 12, 2008. Retrieved October 19, 2009. ^ a b "Reese Witherspoon: A novel challenge for blonde ambition". London: The Independent. January 7, 2005. Archived from the original on September 4, 2015. Retrieved June 29, 2015. ^ Meyer, Norma (November 13, 2005). "A type A is already on A-list". The San Diego Union-Tribune. Archived from the original on May 7, 2005. Retrieved November 26, 2007. ^ Booth, William (November 13, 2005). "Playing It Straight (page 1)". Washington Post. Retrieved November 10, 2007. ^ a b c Gardner, Elysa (September 13, 1998). "Reese Witherspoon; Commitment, Success and the Age of Ambivalence". New York Times. Archived from the original on January 8, 2008. Retrieved October 25, 2007. ^ Pulver, Andrew (January 9, 2015). "Reese Witherspoon: behind-the-scenes revival of Hollywood's unlikely feminist". The Guardian. Retrieved November 7, 2017. ^ Escobar, Sam (March 22, 2016). "Reese Witherspoon Through the Years". Good Housekeeping. Retrieved November 7, 2017. ^ "Reese Witherspoon". IMDb. Retrieved November 7, 2017. ^ Vena, Jocelyn (December 29, 2010). "Reese Witherspoon's Love Life: From Ryan Phillippe To Jim Toth". MTV. Archived from the original on September 27, 2011. Retrieved February 1, 2012. ^ Zupkus, Lauren (January 29, 2015). "Alyssa Milano Shares A '90s #TBT Photo With Reese Witherspoon". Huffington Post. Retrieved November 7, 2017. ^ "Freeway (1996) from Reese Witherspoon's Best Roles". E! Online. Retrieved November 7, 2017. ^ LaSalle, Mick (August 23, 1996). "`Freeway's' Wild, Funny Ride". San Francisco Chronicle. Archived from the original on December 25, 2007. Retrieved December 12, 2007. ^ "Reese Witherspoon". The Biography Channel. Archived from the original on November 8, 2012. Retrieved February 1, 2012. ^ a b Booth, Philip (February 6, 2003). "Spoonfuls of video treats". St. Petersburg Times. Archived from the original on December 28, 2007. Retrieved November 10, 2007. ^ "Reese Witherspoon Awards". uk.movies.yahoo.com. Archived from the original on January 9, 2007. Retrieved July 4, 2007. ^ Graham, Bob (March 5, 1999). "``Dangerous Liaisons' Junior". San Francisco Chronicle. Archived from the original on November 21, 2007. Retrieved December 6, 2007. ^ "Reese Witherspoon Award". Yahoo! Movies. Archived from the original on June 30, 2007. Retrieved November 10, 2007. ^ "Film Independent Spirit Awards" (PDF). spiritawards.com. Archived from the original (PDF) on April 22, 2012. Retrieved April 10, 2012. ^ "100 Greatest Movie Performances of All Time". Filmsite.org. Archived from the original on September 29, 2007. Retrieved July 4, 2007. ^ Booth, William (November 13, 2005). "Playing It Straight (page 3)". The Washington Post. Retrieved November 10, 2007. ^ Deggans, Eric (May 4, 2004). "Guest stars: The good, the bad, the twin sister". St. Petersburg Times. Archived from the original on December 13, 2007. Retrieved November 10, 2007. ^ a b "Reese Witherspoon". Box Office Mojo. Archived from the original on October 20, 2007. Retrieved December 2, 2007. ^ Harkness, John (February 6, 2003). "Classic Crawford". NOW. Archived from the original on September 11, 2012. Retrieved February 1, 2012. ^ Ebert, Roger (July 13, 2001). "Reviews: Legally Blonde". Chicago Sun-Times. Archived from the original on May 22, 2007. Retrieved February 23, 2007. ^ Zacharek, Stephanie (July 13, 2001). "Legally Blonde". Salon.com. Archived from the original on December 5, 2007. Retrieved December 12, 2007. ^ Axmaker, Sean (July 13, 2001). "Enough energy in this 'Blonde' to perk up limp comedy". Seattle Post-Intelligencer. Retrieved December 12, 2007. ^ Clark, John (May 12, 2002). "Young and talented, headstrong and 'Earnest' Reese Witherspoon gets what she wants". San Francisco Chronicle. Archived from the original on December 4, 2007. Retrieved November 4, 2007. ^ "Announces the 4th Annual 2002 Teen Choice Awards Nominees". PR Newswire. Archived from the original on August 29, 2003. Retrieved November 4, 2007. ^ "Interview with Reese Witherspoon". IGN. September 23, 2002. Archived from the original on July 13, 2011. Retrieved June 12, 2007. ^ Wills, Dominic. "Reese Witherspoon biography (page 6)". Tiscali. Archived from the original on May 7, 2008. Retrieved December 12, 2007. ^ Ogle, Connie (September 27, 2002). "Linin' up good ol' cliches, in a fashion". Miami Herald. Archived from the original on June 23, 2007. Retrieved December 1, 2007. ^ Ebert, Roger (September 27, 2002). "Sweet Home Alabama". Chicago Sun-Times. Archived from the original on December 12, 2007. Retrieved December 1, 2007. ^ "Sweet Home Alabama". Tiscali. Archived from the original on May 7, 2008. Retrieved December 1, 2007. ^ Sterritt, David (September 27, 2002). "A down-home dilemma". Christian Science Monitor. Archived from the original on March 12, 2008. Retrieved December 12, 2007. ^ Puig, Claudia (July 2, 2003). "Legally Blonde 2 Review". USA Today. Retrieved December 12, 2007. ^ Taylor, Charles (July 2, 2003). "Legally Blonde 2". Salon.com. Archived from the original on June 7, 2011. Retrieved December 12, 2007. ^ "Witherspoon leads UK première". BBC News. July 23, 2003. Archived from the original on December 17, 2003. Retrieved November 4, 2007. ^ Silverman, Steven M. (December 3, 2002). "Julia Roberts Tops Actress Power List". People magazine. Archived from the original on April 16, 2008. Retrieved June 13, 2008. ^ Edelstein, David (November 13, 2005). "Witherspoon Walks The Line". CBS News. Archived from the original on December 24, 2007. Retrieved November 4, 2007. ^ "Mira's early feminist". The Telegraph. Kolkota, India. September 6, 2004. Archived from the original on December 3, 2007. Retrieved November 4, 2007. ^ "Director Nair's Vanity project". BBC News. December 1, 2004. Retrieved November 4, 2007. ^ Chocano, Carina (September 1, 2004). "'Vanity Fair'Review". Los Angeles Times. Archived from the original on March 10, 2008. Retrieved December 2, 2007. ^ Stringer, Ron (September 2, 2004). "Becky, We Hardly Knew Ye". LA Weekly. Archived from the original on January 24, 2013. Retrieved February 12, 2013. ^ Levy, Emanuel (September 7, 2004). "Vanity Fair". Cinema 24/7. Archived from the original on April 7, 2017. Retrieved February 12, 2013. ^ Moten, Katie (December 29, 2005). "Just Like Heaven (PG)". Raidió Teilifís Éireann. Archived from the original on October 23, 2007. Retrieved November 4, 2007. ^ a b c "Faces of the week". BBC News. November 3, 2006. Archived from the original on February 13, 2009. Retrieved November 5, 2007. ^ "Reese Witherspoon, live on Breakfast". BBC News. February 1, 2006. Archived from the original on January 6, 2007. Retrieved November 7, 2007. ^ Donaldson-Evans, Catherine (February 8, 2006). "Stars Learn to Sing for Roles ... or Do They?". Fox News Channel. Archived from the original on December 3, 2007. Retrieved November 5, 2007. ^ Ebert, Roger (September 27, 2002). "Walk the Line". Chicago Sun-Times. Archived from the original on December 12, 2007. Retrieved December 1, 2007. ^ a b "Movie stars up for country award". BBC. March 20, 2006. Archived from the original on May 21, 2006. Retrieved July 17, 2008. ^ "2006 Nominees". Country Music Television. Archived from the original on July 19, 2008. Retrieved July 17, 2008. ^ a b Murray, Rebecca (July 31, 2017). "Reese Witherspoon Interview". About.com. Archived from the original on August 20, 2007. Retrieved February 23, 2018. ^ "Exclusive: Penelope Set Pics". Empire. March 15, 2006. Archived from the original on December 31, 2014. Retrieved December 31, 2014. ^ Macdonald, Moira (September 6, 2006). "From Toronto: Let the film festival begin!". The Seattle Times. Archived from the original on June 22, 2011. Retrieved December 12, 2007. ^ Wood, Jennifer M. (February 29, 2008). "Deconstructing Penelope". MovieMaker. Retrieved December 12, 2007. ^ Goldstein, Gregg (September 6, 2007). "Penelope' slides to Summit". The Hollywood Reporter. Archived from the original on November 10, 2012. Retrieved February 1, 2012. ^ Rose, Charlie (December 21, 2014). "Reese Witherspoon: Ready for a Change". CBS News. Archived from the original on December 29, 2014. Retrieved December 31, 2014. ^ Germain, David (October 16, 2007). "Witherspoon Gives a Dramatic `Rendition'". The Washington Post. Retrieved November 5, 2007. ^ Mathews, Jack (October 19, 2007). "'Rendition' is story of torture". New York Daily News. Archived from the original on December 22, 2007. Retrieved December 12, 2007. ^ Puig, Claudia (October 18, 2007). "'Rendition' fails to turn over interest". USA Today. Retrieved December 12, 2007. ^ Mcnary, Dave (July 26, 2007). "Vaughn, Witherspoon set for comedy". Variety. Archived from the original on October 12, 2007. Retrieved August 22, 2007. ^ "Four Christmases (2008):Reviews". Metacritic. Archived from the original on December 5, 2008. Retrieved November 30, 2008. ^ Wloszczyna, Susan (March 11, 2008). "First look: 'Monsters vs. Aliens' is the ultimate; a 3-D 'first'". USA Today. Retrieved April 6, 2008. ^ "Legally Blondes (2008)". All Movie Guide. Archived from the original on February 14, 2015. Retrieved February 14, 2015. ^ "This Week's Cover: The return of Reese Witherspoon". Entertainment Weekly. Archived from the original on January 1, 2011. Retrieved December 29, 2010. ^ Wilkinson, Amy (February 1, 2012). "'This Means War' Star Reese Witherspoon is in her 'Love Triangle Period'". MTV. Archived from the original on May 10, 2012. Retrieved February 20, 2012. ^ Cieply, Michael (March 22, 2010). "Star-Heavy Big-Budget Love Story Bucks Trend". The New York Times. Archived from the original on March 30, 2010. Retrieved April 27, 2010. ^ Brunsting, Joshua (June 9, 2010). "Gordon and the Whale". Gordon and the Whale. Archived from the original on June 13, 2010. Retrieved June 21, 2010. ^ "Film trailer: Witherspoon, Rudd, Wilson and Nicholson in 'How Do You Know'". The Independent. UK. August 14, 2010. Archived from the original on November 8, 2012. Retrieved August 14, 2010. ^ Siegel, Tatiana (February 17, 2009). "Rudd, Wilson in talks for Brooks film". Variety. Archived from the original on September 17, 2012. Retrieved March 14, 2010. ^ "Reese Witherspoon: Filming in Philly". GossipCenter Network. October 1, 2009. Archived from the original on July 23, 2011. Retrieved April 2, 2011. ^ "Reese Witherspoon, Owen Wilson Movie Coming to D.C." Washington City Paper. June 4, 2009. Archived from the original on June 18, 2009. Retrieved March 14, 2010. ^ "Box office: 'How Do You Know' flops; 'Tron' doesn't; and like the bear himself, 'Yogi' is soft [Updated]". Los Angeles Times. December 19, 2010. Archived from the original on December 22, 2010. Retrieved December 28, 2010. ^ "Rotten Tomatoes: How Do You Know". Rotten Tomatoes. Archived from the original on December 23, 2010. Retrieved December 28, 2010. ^ Frazier, Kevin (March 10, 2010). "Reese Witherspoon Goes to Washington". Entertainment Tonight. Archived from the original on April 3, 2012. Retrieved February 6, 2011. ^ "Robert Pattinson begins shooting for "Water for Elephants". Hollywood News. May 20, 2010. Archived from the original on January 4, 2013. Retrieved May 22, 2010. ^ McClintock, Pamela (December 23, 2010). "Fox Pushes Rio, Water for Elephants Releases". The Hollywood Reporter. Archived from the original on December 27, 2010. Retrieved December 28, 2010. ^ "Rotten Tomatoes: Water for Elephants". Rotten Tomatoes. Archived from the original on June 27, 2011. Retrieved June 28, 2011. ^ Sperling, Nicole (May 6, 2010). "Chris Pine in early negotiations for spy comedy 'This Means War' at Fox". Entertainment Weekly. Archived from the original on December 22, 2016. Retrieved January 2, 2012. ^ "Chris Pine preps for "War"". Hollywood News. May 8, 2010. Archived from the original on May 10, 2010. Retrieved May 8, 2010. ^ "This Means War to start filming". Vancouver Sun. September 3, 2010. Archived from the original on September 7, 2010. Retrieved September 19, 2010. ^ "This Means War Gets Romantic Release Date". Movieline. April 12, 2011. Archived from the original on April 15, 2011. Retrieved June 28, 2011. ^ "Fox to Release McG's 'This Means War' on Valentine's Day". Reuters. January 8, 2012. Archived from the original on July 26, 2012. Retrieved January 22, 2012. ^ "This Means War – Rotten Tomatoes". Rotten Tomatoes. Archived from the original on February 21, 2012. Retrieved February 20, 2012. ^ Barnes, Brooks (February 19, 2012). "This Means Box Office Dud". The New York Times. Archived from the original on February 21, 2012. Retrieved February 20, 2012. ^ "Everything We Know About Reese Witherspoon's Film 'Mud,' Filming in Arkansas". InArkansas. September 28, 2011. Archived from the original on September 30, 2011. Retrieved October 3, 2011. ^ McNary, Dave (September 26, 2011). "'Mud' banks trio of thesps". Variety. Archived from the original on May 16, 2012. Retrieved October 3, 2011. ^ Phillips, Michael (April 19, 2012). "Cannes sets 2012 fest lineup". Chicago Tribune. Archived from the original on April 20, 2012. Retrieved May 5, 2012. ^ Leffler, Rebecca (May 26, 2012). "Cannes 2012: Jeff Nichols' 'Mud' Slides Into Competition with Matthew McConaughey, Reese Witherspoon". Hollywood Reporter. Archived from the original on May 28, 2012. Retrieved May 27, 2012. ^ Labrecque, Jeff (January 21, 2013). "Sundance 2013: The Rebirth of Matthew McConaughey". Entertainment Weekly. Archived from the original on January 23, 2013. Retrieved January 23, 2013. ^ Fox, Jesse David (January 16, 2013). "Mud Trailer: Matthew McConaughey and Reese Witherspoon Have a Southern-Accent-Off". Vulture. Archived from the original on January 20, 2013. Retrieved January 16, 2013. ^ Tapley, Kristopher (January 16, 2013). "'Mud' trailer with Matthew McConaughey reignites the fuse in advance of Sundance bow". Hitflix. Archived from the original on January 18, 2013. Retrieved January 16, 2013. ^ Macdonald, Gayle (December 16, 2011). "Egoyan signs Reese Witherspoon for new film". Globe and Mail. Toronto. Archived from the original on December 18, 2011. Retrieved December 30, 2011. ^ McClintock, Pamela (May 16, 2012). "Cannes 2012: Colin Firth, Reese Witherspoon's West Memphis Three Pic Gets Financing (Exclusive)". Hollywood Reporter. Archived from the original on May 20, 2012. Retrieved May 27, 2012. ^ Gicas, Peter (June 26, 2012). "Pregnant Reese Witherspoon Spotted Shooting New Movie". eOnline. Archived from the original on January 22, 2013. Retrieved June 30, 2012. ^ Brett, Jennifer (July 5, 2012). "Reese Witherspoon movie filming in Cartersville". Access Atlanta. Archived from the original on October 17, 2012. Retrieved January 23, 2013. ^ Johnson, Zach (June 26, 2012). "Pregnant Reese Witherspoon Begins Shooting Devil's Knot in Atlanta". Us Weekly. Archived from the original on January 28, 2013. Retrieved January 23, 2013. ^ Zwecker, Bill (June 23, 2012). "Reese Witherspoon talks of prom dresses, pregnancy and new film". Chicago Sun Times. Archived from the original on September 19, 2012. Retrieved January 23, 2013. ^ Barnard, Linda (July 23, 2013). "TIFF: WikiLeaks movie The Fifth Estate to open film festival". Toronto Star. Archived from the original on July 26, 2013. Retrieved July 24, 2013. ^ Atkinson, Nathalie (September 8, 2013). "TIFF 2013: All the night moves with Sandra Bullock, Reese Witherspoon and Jesse Eisenberg on the red carpet (but no George Clooney, sorry)". National Post. Archived from the original on September 9, 2013. Retrieved September 8, 2013. ^ Labrecque, Jeff (February 10, 2014). "West Memphis Three drama 'Devil's Knot' with Reese Witherspoon sets release date – EXCLUSIVE". Entertainment Weekly. Archived from the original on May 2, 2014. Retrieved May 19, 2014. ^ Yamato, Jen (April 3, 2013). "Corey Stoll, Sarah Baker, Sudanese Lost Boys Cast In 'The Good Lie'". Deadline Hollywood. Archived from the original on April 7, 2013. Retrieved April 7, 2013. ^ Keene, Allison (April 5, 2013). "ATLwood: Reese Witherspoon back in town for "The Good Lie"". Creative Loafing Atlanta. Archived from the original on May 20, 2013. Retrieved April 7, 2013. ^ Lang, Brent (May 27, 2014). "Reese Witherspoon Drama 'The Good Lie' Shifts to October Release". Variety. Archived from the original on January 12, 2015. Retrieved January 1, 2015. ^ "First Look At Joaquin Phoenix On The Set Of 'Inherent Vice'". indiewire.com. June 4, 2013. Archived from the original on June 8, 2013. Retrieved June 26, 2013. ^ Kroll, Justin (May 15, 2013). "Reese Witherspoon Eyes Reteam With Joaquin Phoenix in 'Inherent Vice'". Variety. Archived from the original on July 13, 2013. Retrieved July 22, 2013. ^ Duncan, Dustin (September 17, 2013). "'Gone Girl' filming at Giant City State Park". The Southern. Archived from the original on September 20, 2013. Retrieved October 16, 2013. ^ Kit, Borys (January 22, 2013). "David Fincher in Talks to Direct 'Gone Girl'". The Hollywood Reporter. Archived from the original on January 24, 2013. Retrieved January 23, 2013. ^ Strecker, Erin (October 15, 2013). "'Gone Girl' gets release date". Entertainment Weekly. Archived from the original on September 6, 2014. Retrieved May 19, 2014. ^ Riley, Jenelle (October 7, 2014). "Reese Witherspoon, Bruna Papandrea Push for Female-Driven Material With Pacific Standard". Variety. Archived from the original on January 12, 2015. Retrieved December 31, 2014. ^ "Reese Witherspoon buys movie rights to Cheryl Strayed's memoir". Oregon Live. March 8, 2012. Archived from the original on April 26, 2012. Retrieved July 29, 2012. ^ McNary, Dave (October 11, 2013). "Reese Witherspoon's 'Wild' Adds Michiel Huisman, W. Earl Brown". Variety. Archived from the original on October 13, 2013. Retrieved October 16, 2013. ^ "Wild (2014)". Rotten Tomatoes. Archived from the original on November 26, 2014. Retrieved December 7, 2014. ^ Phillips, Michael (December 4, 2014). "Review: 'Wild'". Chicago Tribune. Archived from the original on December 7, 2014. Retrieved December 7, 2014. ^ Mendelson, Scott (September 9, 2014). "Can Reese Witherspoon Have Her Own 'McConaissance?'". Forbes. Archived from the original on September 9, 2014. Retrieved January 1, 2015. ^ Robey, Tim (December 29, 2014). "Wild is Reese Witherspoon's major comeback". The Telegraph. London. Archived from the original on January 1, 2015. Retrieved January 1, 2015. ^ Stack, Tim (January 15, 2015). "Reese Witherspoon on her Oscar nomination: 'I can't imagine ever having a year this good'". Entertainment Weekly. Archived from the original on February 19, 2015. Retrieved February 1, 2015. ^ Scott, Mike (May 12, 2014). "'Don't Mess With Texas,' starring Reese Witherspoon and Sofia Vergara, starts filming this week in New Orleans". The Times-Picayune. Archived from the original on December 28, 2014. Retrieved March 8, 2015. ^ McNary, Dave (February 12, 2015). "Watch: First Trailer for Reese Witherspoon-Sofia Vergara's 'Hot Pursuit'". Variety. Archived from the original on February 26, 2015. Retrieved March 8, 2015. ^ "Sing (2016)". Box Office Mojo. Archived from the original on January 14, 2017. Retrieved January 21, 2017. ^ Andreeva, Nellie (March 30, 2017). "'Big Little Lies' Limited Series Starring Nicole Kidman & Reese Witherspoon Picked Up By HBO". Deadline Hollywood. Archived from the original on May 9, 2015. Retrieved May 8, 2015. ^ "'Big Little Lies', starring Nicole Kidman and Reese Witherspoon, is filming in Monterey, CA this week". On Location Movies. January 25, 2016. Archived from the original on January 26, 2016. Retrieved January 26, 2016. ^ Rosenberg, Alyssa (March 30, 2017). "Reese Witherspoon is unlikable again in 'Big Little Lies.' Thank goodness". The Washington Post. Retrieved March 30, 2017. ^ Kroll, Justin (August 4, 2016). "Reese Witherspoon in Talks to Star in 'Home Again' (EXCLUSIVE)". Variety. Archived from the original on November 10, 2016. Retrieved March 30, 2017. ^ "Wrinkle in Time Cast Announced as Filming Begins". ComingSoon.net. November 1, 2016. Archived from the original on November 29, 2016. Retrieved March 30, 2017. ^ a b Spangler, Todd (July 10, 2018). "Reese Witherspoon Interview Series to Kick Off Her Hello Sunshine Channel Debut on AT&T, DirecTV". Variety. Retrieved July 12, 2018. ^ "'Big Little Lies' renewed for season 2 with new director". EW.com. Retrieved July 23, 2018. ^ "Apple Lands New Reese Witherspoon and Jennifer Aniston TV Show". Retrieved July 23, 2018. ^ "Reese Witherspoon on Instagram: "So excited to announce my new @apple show at the #appleevent! It's called The Morning Show ☀️and it reveals what happens in the fast-paced…"". Instagram. Retrieved April 19, 2019. ^ Andreeva, Nellie (March 2, 2018). "Reese Witherspoon & Kerry Washington To Star In & Produce Limited TV Series Based On 'Little Fires Everywhere' Book". Deadline. Retrieved July 23, 2018. ^ Otterson, Joe (October 12, 2018). "Sara Saedi Memoir 'Americanized' in Development as ABC Comedy With Reese Witherspoon Producing". Variety. Retrieved October 13, 2018. ^ Andreeva, Nellie (May 2, 2018). "'Are You Sleeping' Drama Starring Octavia Spencer Gets Apple Series Order; Reese Witherspoon & Peter Chernin Producing". Deadline. Retrieved July 23, 2018. ^ Nyren, Erin (June 20, 2018). "Kristen Wiig Will No Longer Star in Apple Comedy After 'Wonder Woman 2' Scheduling Conflict". Variety. Retrieved July 23, 2018. ^ Jr, Mike Fleming (November 14, 2017). "Zendaya To Star In 'A White Lie,' Pitch Package From Reese Witherspoon's Hello Sunshine". Deadline. Retrieved July 23, 2018. ^ N'Duka, Amanda (May 15, 2018). "Reese Witherspoon Producing Documentary On Tennis Legend Martina Navratilova". Deadline. Retrieved July 23, 2018. ^ Hancock, Tiffany (February 13, 2006). "Fashion victim: Reese Witherspoon". The Daily Telegraph. UK. Archived from the original on December 3, 2007. Retrieved November 5, 2007. ^ Borys Kit (March 18, 2012). "Reese Witherspoon, Bruna Panadrea Merge Production Companies to Create Pacific Standard". Hollywood Reporter. Archived from the original on April 30, 2012. Retrieved July 28, 2012. ^ Jr, Mike Fleming (September 1, 2016). "'Gone Girl' Producers Reese Witherspoon & Bruna Papandrea Parting". Archived from the original on November 25, 2016. Retrieved December 25, 2016. ^ Busch, Anita (November 21, 2016). "Reese Witherspoon, Otter Media Pact For New Company Hello Sunshine". Deadline Hollywood. Archived from the original on January 15, 2017. Retrieved January 15, 2017. ^ Apple Inc (April 23, 2013). "To Be Loved by Michael Bublé". iTunes. Archived from the original on May 13, 2013. Retrieved April 23, 2013. ^ "Reese Witherspoon launches Draper James lifestyle brand". CBS News. May 6, 2015. Archived from the original on May 7, 2015. Retrieved May 6, 2015. ^ "Reese Witherspoon on Twitter". Twitter. Retrieved July 23, 2018. ^ Elizabeth Arden Inc. (March 30, 2017). "Elizabeth Arden Signs Reese Witherspoon As Storyteller-in-Chief". PR Newswire. Retrieved March 30, 2017. ^ a b c Finn, Natalie (August 2, 2007). "Reese Witherspoon, Avon Lady". Eonline.com. Archived from the original on December 28, 2012. Retrieved February 1, 2012. ^ Plaisance, Stacey (May 8, 2006). "Witherspoon, Garner Tour New Orleans". The Washington Post. Retrieved December 1, 2007. ^ a b "Reese Witherspoon Speaks About Children of Katrina". ABC News. May 14, 2006. Archived from the original on August 9, 2007. Retrieved December 1, 2007. ^ Guest, Katy (August 5, 2007). "Reese Witherspoon: From Hollywood star to Avon lady". London: The Independent. Archived from the original on July 29, 2013. Retrieved February 1, 2012. ^ a b c "Reese Witherspoon heeds Avon call to be spokeswoman". Reuters. August 2, 2007. Archived from the original on December 28, 2007. Retrieved November 11, 2007. ^ "Witherspoon to become 'Avon lady'". BBC News. August 1, 2007. Archived from the original on April 29, 2008. Retrieved December 1, 2007. ^ "Reese Witherspoon on Twitter". Retrieved December 25, 2016. ^ a b "Video: Who Influences Reese Witherspoon?". NewYou. November 10, 2015. Archived from the original on March 14, 2016. Retrieved March 1, 2016. ^ "Women in Entertainment Power 100: The Stars". Archived from the original on October 11, 2016. Retrieved December 25, 2016. ^ "Instagram photo by Reese Witherspoon • Dec 28, 2014 at 5:20pm UTC". Archived from the original on September 21, 2016. Retrieved December 25, 2016. ^ "The Movie That Had the Biggest Influence on Reese Witherspoon". ABC. February 17, 2015. Archived from the original on March 14, 2016. Retrieved March 1, 2016. ^ Team Coco (February 15, 2012). "Reese Witherspoon Loves Pinterest & Jennifer Aniston – CONAN on TBS" – via YouTube. ^ de Kretser, Leela (October 31, 2006). "Split end for a 'Legal blonde'". New York Post. Archived from the original on August 1, 2013. Retrieved February 1, 2012. ^ Thomas, Karen (November 8, 2006). "Reese Witherspoon, Ryan Phillippe separate". USA Today. Retrieved November 10, 2007. ^ a b "Reese Witherspoon gives birth". CNN. October 29, 2003. Archived from the original on December 6, 2007. Retrieved November 10, 2007. ^ Sheri & Bob Stritof. "Reese Witherspoon and Ryan Phillippe Marriage Profile". About.com. Archived from the original on July 19, 2008. Retrieved July 2, 2008. ^ Frankel, Daniel (June 8, 1999). "Witherspoon. Phillippe. Married". Eonline.com. Archived from the original on June 16, 2012. Retrieved February 1, 2012. ^ "Reese Witherspoon and Ryan Phillippe's Sweet 18th Birthday Messages to Daughter Ava". September 9, 2017. Retrieved April 11, 2018. ^ "Reese Witherspoon & Ryan Phillippe Split". People. October 30, 2006. Archived from the original on December 22, 2014. Retrieved December 22, 2014. ^ "Is Reese Witherspoon Dating Again?". People. February 4, 2010. Archived from the original on April 20, 2010. Retrieved April 24, 2010. ^ "Reese Witherspoon's Date Night". People. February 25, 2010. Archived from the original on April 20, 2010. Retrieved April 24, 2010. ^ "Reese Witherspoon's Birthday Getaway with Jim Toth". People. March 22, 2010. Archived from the original on April 20, 2010. Retrieved April 24, 2010. ^ Finke, Nikki (September 21, 2010). "New Heads Of CAA's MP Talent Department". People. Archived from the original on November 25, 2010. Retrieved December 8, 2010. ^ "Reese Witherspoon, Jim Toth Engaged!". Us Weekly. December 28, 2010. Archived from the original on December 30, 2010. Retrieved December 28, 2010. ^ "Reese Witherspoon Wedding on Saturday". Extra. March 25, 2011. Archived from the original on April 28, 2011. Retrieved March 27, 2011. ^ "Reese Witherspoon Weds Jim Toth!". Us Weekly. March 26, 2011. Archived from the original on April 30, 2011. Retrieved March 26, 2011. ^ Chan, Jennifer (November 12, 2013). "Reese Witherspoon Sells Ojai Home for $5.9 Million: See Robert Pattinson's Post-Breakup Hideout". E!. Archived from the original on September 6, 2014. Retrieved November 15, 2013. ^ Jordan, Julie (September 27, 2012). "Reese Witherspoon Welcomes Son Tennessee James". People. Archived from the original on September 28, 2012. Retrieved September 27, 2012. ^ "Reese Will Pay Fine, Toth Pleads Guilty to DUI". May 2, 2013. ^ "Saturday Night Live Preps 'Emotional' Premiere". ABC News. September 27, 2001. Archived from the original on April 23, 2009. Retrieved December 12, 2007. ^ "Kutcher tops list of young, powerful". San Diego Union-Tribune. August 6, 2005. Archived from the original on January 19, 2012. Retrieved February 1, 2012. ^ "The people who shape our world". TIME. Archived from the original on May 2, 2006. Retrieved November 5, 2007. ^ Wilson, Luke (April 30, 2006). "Reese Witherspoon". TIME. Archived from the original on October 22, 2007. Retrieved November 5, 2007. ^ "The 100 Sexiest Women In The World 2006". FHM. Archived from the original on October 22, 2007. Retrieved November 5, 2007. ^ "Facts about People's most beautiful list" (PDF). CBS News. Archived (PDF) from the original on February 27, 2008. Retrieved December 28, 2007. ^ "2006:The Celebrity 100". Forbes. June 15, 2006. Archived from the original on December 11, 2007. Retrieved November 21, 2007. ^ "2007:The Celebrity 100". Forbes. June 14, 2007. Archived from the original on November 15, 2007. Retrieved November 21, 2007. ^ Rose, Lacey (September 25, 2006). "The Ten Most Trustworthy Celebrities". Forbes. Archived from the original on December 1, 2007. Retrieved November 21, 2007. ^ "People: Beyonce, Jennifer Lopez, Reese Witherspoon Among Best-Dressed". Fox News. September 12, 2007. Archived from the original on December 23, 2007. Retrieved November 21, 2007. ^ "Access Hollywood's Best Dressed Stars Of 2007". Access Hollywood. January 5, 2009. Archived from the original on July 29, 2013. Retrieved February 1, 2012. ^ Rubenstein, Hal (March 6, 2012). "The "Ryan Who?" Dress". 100 Unforgettable Dresses. New York: Harper Design. ISBN 978-0-06-219888-4. ^ "Reese Witherspoon tops list of most-liked celebs". Reuters. January 4, 2008. Archived from the original on January 12, 2008. Retrieved January 5, 2008. ^ Goodwin, Christopher (October 7, 2007). "A testing time for Reese Witherspoon". The Times. UK. Archived from the original on September 8, 2008. Retrieved November 5, 2007. ^ Grabicki, Michelle (November 30, 2007). "Witherspoon is Hollywood's highest-paid actress". Reuters. Archived from the original on December 2, 2007. Retrieved November 5, 2007. ^ "Drew Barrymore, Eddie Murphy named Hollywood's most overpaid actors by Forbes – NY Daily News". New York: Articles.nydailynews.com. November 4, 2011. Retrieved April 21, 2013. ^ Pomerantz, Dorothy (April 18, 2012). "Eddie Murphy Tops Our List Of The Most Overpaid Actors In Hollywood". Forbes. Archived from the original on April 20, 2013. Retrieved April 21, 2013. ^ Pomerantz, Dorothy (December 9, 2013). "Adam Sandler Tops Forbes' 2013 List Of The Most Overpaid Actors". Forbes. Archived from the original on December 10, 2013. Retrieved January 26, 2014. ^ "People's Most Beautiful 2011 – Reese Witherspoon". People. April 13, 2011. Archived from the original on August 8, 2011. ^ "Welcome – Hollywood Chamber of Commerce". Hollywoodchamber.net. Archived from the original on February 10, 2011. Retrieved February 4, 2011. ^ Gardner, Eriq (November 24, 2015). "Judge Leans Against "Reese Witherspoon" as a Protectable Slogan". The Hollywood Reporter. Archived from the original on February 1, 2016. Retrieved January 25, 2016. ^ Eslinger, Bonnie (December 1, 2015). "Reese Witherspoon Wins Round In Publicity Rights Battle". Law360. Archived from the original on February 1, 2016. Retrieved January 25, 2016. ^ Rothman, Jennifer E. (December 2, 2015). "L.A. Court Allows Reese Witherspoon to Proceed with Right of Publicity Claim Against Jeweler". Rothman's RoadMap To The Right Of Publicity. Archived from the original on January 31, 2016. Retrieved January 25, 2016. ^ Eriq, Gardner (February 16, 2016). "Hollywood Docket: Reese Witherspoon Settles Imitation Jewelry Lawsuit". The Hollywood Reporter. Archived from the original on February 21, 2016. Retrieved March 1, 2016. ^ "Reese Witherspoon Reveals She Was Assaulted by a Director at 16". Elle. October 17, 2017. Retrieved October 18, 2017. ^ Kaling, Mindy (April 16, 2015). "Reese Witherspoon". TIME. Archived from the original on January 25, 2016. Retrieved January 25, 2016. ^ Lincoln, Ross A. (July 23, 2015). "Reese Witherspoon To Get 2015 American Cinematheque Award". Deadline Hollywood. Archived from the original on December 28, 2015. Retrieved January 25, 2016. ^ Kilday, Gregg (July 23, 2015). "Reese Witherspoon to be Honored by American Cinematheque". The Hollywood Reporter. Archived from the original on February 2, 2016. Retrieved January 25, 2016. ^ D'Alessandro, Anthony (October 30, 2015). "Reese Witherspoon Carries Torch For Women At American Cinematheque Tribute; Katzenberg Receives Sid Grauman Award". Deadline Hollywood. Archived from the original on January 7, 2016. Retrieved January 25, 2016. ^ Berg, Madeline. "Media & Entertainment". Forbes. Forbes. Retrieved June 20, 2018. ^ "Reese Witherspoon confirms Legally Blonde 3". RTE.ie. June 7, 2018 – via www.rte.ie. ^ "Freedom: A History of Us". TV Guide. Retrieved March 20, 2018. ^ "Reese Witherspoon on Saturday Night Live". NBC. Retrieved March 20, 2018. ^ Fienberg, Daniel (September 15, 2015). "'Best Time Ever With Neil Patrick Harris': TV Review". The Hollywood Reporter. Retrieved March 20, 2018. ^ "Reese Witherspoon vs. Miss Piggy Video". ABC. Retrieved March 20, 2018. ^ Bacle, Ariana (August 29, 2017). "Reese Witherspoon to Guest on 'The Mindy Project'". Entertainment Weekly. Retrieved March 20, 2018. ^ "Reese Witherspoon". Archived from the original on July 10, 2015. Retrieved July 14, 2015. Wikimedia Commons has media related to Reese Witherspoon. This page was last edited on 21 April 2019, at 16:13 (UTC).